We encourage applications from organisations and people with ideas, passion and ability to realise innovative public engagement projects – from those within or outside the research community, those with a track record in dementia engagement and those looking to apply their skills to this important issue for the first time. We strongly encourage applicants to forge links with collaborators or groups to grow the scale of your ideas, and to evidence this in your application. We are interested in a broad range of projects and ideas – such as those utilising digital technology, powerful storytelling, art-science collaborations, performances, workshops or other events – we want you to be creative. Projects must be completed and funding awarded within 1 year of the award being made. Projects must take place within the UK. For a full list of criteria, please read the guidance document. Applications are made using the application form and submitted via email to the Engagement team. In the application, you will need to demonstrate a clear understanding of your audience, the outcomes you want to achieve, how you will measure the impact of the project, and ways to create a legacy from the project. You will need to provide detailed costs and a timeline for the project, as well as a clear plan for how you will evaluate its impact. For more information on how to apply, please read the guidance document provided. Applications should be submitted before the deadline of 11:59pm 31 May 2019 via email to the Engagement team using the application form. During the application process, applicants are invited to contact the Engagement team for informal advice prior to submitting an application. Please email us with questions or to arrange a discussion over the phone. We will acknowledge the receipt of applications within 5 days of receiving them. You may be asked to provide further information following submission of your application, once the Engagement team has briefly reviewed your application and if they feel more detail is required for the committee to make a decision. 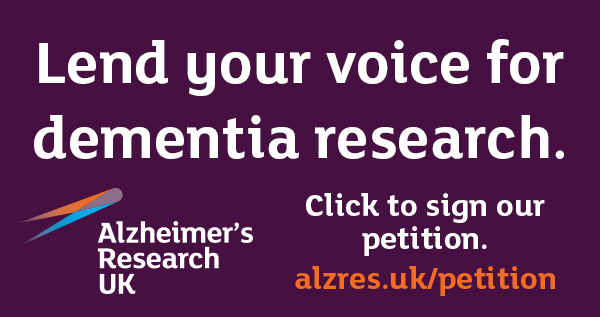 Applications will be assessed by a committee consisting of external advisors with experience in public engagement and dementia, and representation from Alzheimer’s Research UK. Advice will be sought from additional public engagement professionals when necessary during the review process. The committee will score applications against the Inspire Fund’s criteria. In order to make a judgement, they will need to fully understand what you are applying to fund, so make sure you include key information about your project. Please read the guidance on completing the application. Following funding decisions, applicants will be informed of the outcome within 8 weeks of the application deadline. As this is the first time the Inspire Fund scheme has been run, we have no information on the success rate of the scheme and may re-open the scheme if all funding is not allocated in Round 1. All grant holders are required to submit a final report as project evaluation, drawing on evidence gathered throughout the project. Silver and Gold Award grant holders are also required to submit an interim report, summarising progress to date on the project. This is an essential way for us to assess the progress and impact of projects we fund. Information on how to build effective evaluation into your project can be found in the guidance document, and you can download the evaluation report templates here: interim report and final report. Download our GDPR statement that explains how the Alzheimer’s Research UK Engagement team handles personal data about our grant applications and the rights that applicants have under data protection law. In this Notice, we refer to this type of information as “Applicant Data”. This statement applies to all applications submitted to this scheme.